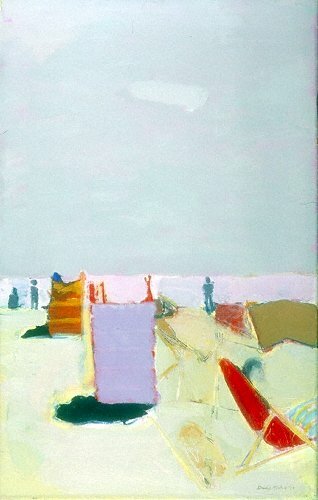 Caption: The Beach at Aberdeen by David Michie, 1970. Signed. Michie is a notable figure in the Scottish Colourist tradition. At the time when this was painted he was a tutor at Edinburgh College of Art having moved from Aberdeen in 1961.